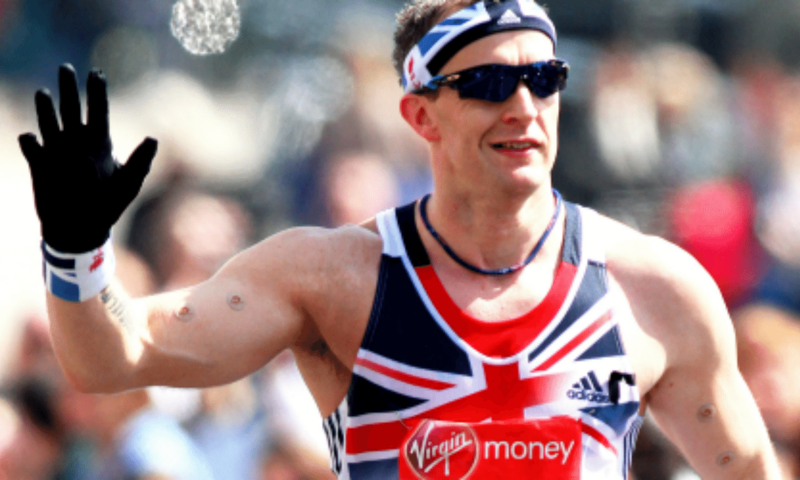 Having recently demonstrated his diving skills to finish as runner up on the television programme ‘Splash!’, Paralympic and world champion Richard Whitehead returns to the roads this April as he runs the Virgin Money London Marathon. It will be the first marathon (his 26th overall) that the 37-year-old will have run since completing 40 of them in 40 days last year for charity. » Picture the scene. I do quite a lot of visualisation. One thing I do before every race, whether it’s the 200m or a marathon, I have a bath and in my head go through how I’m feeling at the start line and how I’m feeling just before the gun and then the process of success in that race. I never visually see the time or the position I’ve run, but I visualise the feeling of success. » Sport is a lot about confidence. If you struggle with confidence you need to put things into place – building blocks to support the process to be confident. That can come from feeling prepared. The last thing you want on marathon day is to turn up late to the start line and not have had your breakfast, not have your trainers, not have your timing chip – you need to be prepared. » It’s good to talk. I have the benefit of having a great team around me. Having input from someone like Liz Yelling who has obviously won a Commonwealth Games bronze medal, my strength and conditioning coach Tim Stevenson who has worked with me for six years, Keith Anton my sprints coach, people like that. They’re on the end of the phone, I can speak to them about small concerns. » On your marks, get set… It’s really important that you’re prepared, whether you’re favourite to win or a first time marathon runner. That starts with time management, your kit, knowing the course and your general wellbeing. The night before a race in my hotel room I always lay out all my kit how I’m going to put it on. All the way from my vest and number to my running socks I put in my prosthetics and my lucky pants!